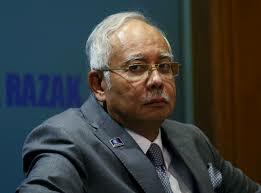 IT'S TOFFEE'S TURN: UMNO's SURVIVAL IN GRAVE DOUBT. UMNO's SURVIVAL IN GRAVE DOUBT. For all the talk by Khairy and Hishamuddin nothing is going to happen to UMNO and it will die a natural death unless, some real action takes place and soon, within the party, there must be consensus to probably source leadership material from the outside real leadership material as the present crop are just useless and will not even make good penghulus. 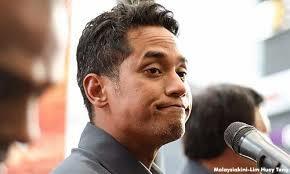 Khairy Jamaluddin says today he regrets not telling Najib the truth about the groundswell that was taking its toll on UMNO's popularity and its ability to secure GE14, he was probably like Najib, holding back confident that all the crooked measures put in place would steal them the General Elections as it did the last time, and more so because this time around, with the aid of the Elections Commission and the Registrar of Societies it was made even more crooked. resulted in one becoming the President of UMNO succeeding Najib. That in the Najib era became the UMNO culture. Till the very last moment Najib was still under the illusion that he would win the elections, he felt he had successfully stolen it, Rosmah was calling around till 8.00 p.m on that night and even later to find out what was going on and she was assured that it was going their way, till jaws began to drop just past 9.30 p.m. Even after it was abundantly clear that Pakatan Harapan had won the elections the elections commission held up the announcements and pronouncements deliberately but denies doing so to thsi day.. Eventually the next day Najib had to concede, it was reported that one point when it became clear he was defeated he broke down. head of the women's wing, a so called leader who dared not even get herself fielded as a candidate for the GE14, who wasrejected outright out at the two previous General Elections and claims to be the leader of the UMNO women's wing today, well she is that is no claim really but that is the standard of the leadership in UMNO today. Well if that is the quality in UMNO you'll not need a maverick to tell you where the party is headed for. Then on the other hand both Khairy and Hishamuddin are certainly not the material to lead either, both are no leaders at best they are followers, in the mold of Abdullah Ahmad Badawi and Hussein Onn respectively, without a clue on how to lead but who desperately are looking to lead because they feel they are the right material and for personal gratification, not for UMNO certainly. 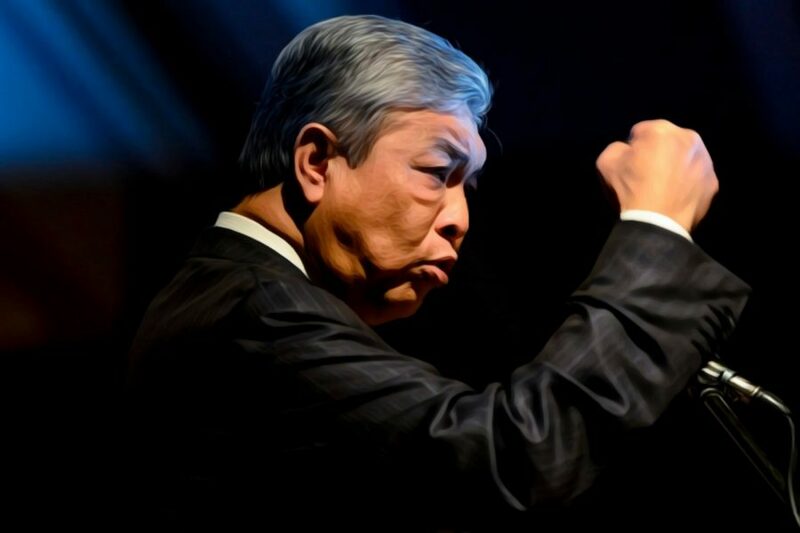 Zahid who went to the UN and made a speech which many Malaysians believe he himself did not understand, attempting to sell the rebranding of the Malaysian government using the "Blue Ocean Strategy" became not embarrassed us Malaysians but us the laughing stock of the world. In the first place the question of Zahid's place of birth should be openly and transparently explored as it has been given many twists and turns, from claims of being born in Indonesia and later in Malaysia, if indeed he was born in Indonesia his eligibility to become a future PM is in doubt. With the full knowledge of all this both Khairy and Hishamuddin have chosen to remain quiet and allow the status quo to remain in place with hints of what they'd like to see. Does this silence not expose their ability to lead, if UMNO collapses Khairy may come out again and say he regrets he did not tell Zahid. Is this case really cleared? those same skills to get rid of his competition, both Khairi and Hisham know that and this why they will not dare try to unseat him openly. Zahid is a street fighter who can land fatal blows below the belt to stifle competition and that is what frightens the two. Their lack of daring to immediately call for change and demand that change rather than throw subtle hints and speak volumes of what they should have done and what must be done are nothing but a sham, it exposes their own weaknesses. 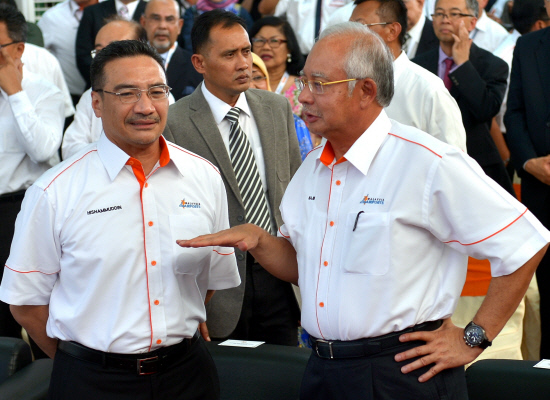 Looking at the present day UMNO lineup there are no people of real value in the organization who have the qualities to lead the organization, Najib was content to surround himself with "Yes Men" who'd do his and Rosmah's every bidding. The Cigar smoking and wine drinking PM was having a gala time, surrounded by less intelligent Malaysians who would do his bidding to be rewarded by his Philosophy of "Cash Is King" and he really thought he was equipped to get away with murder which he managed for some time but forgot that the long arm of the law would eventually get him one day by the power of the people. Now while Khairy laments his failure to approach Najib and tell him the "truth", the truth be told Khairy was afraid of the consequences of what would happen if he did tell Najib and more so if Rosmah came to hear of it..
Now assuming Khairy is telling the truth why is he still keeping it away from Zahid? Zahid has a lot of dirty linen in the closet too, so why is Khairy not asking Zahid to open up his closet? Well to answer that question the Zahid will do what he knows too well to do, what is an UMNO/Najib regime strategy, sack Khairy or Hisamuddin or anyone who dares challenge them and that is all Zahid knows, he'd seek help from Tengku Adnan who is also a specialist in that area. Tengku Adnan? Oh yes that reminds me, when is the UMNO general assembly to convene? What is UMNO's status as a Registered Political Party having breached its own Constitution? What has the Registrar of Societies got to say about UMNO's Status? And Most important of all, how come no one in UMNO is even bothered with the urgency of convening the assembly? IS ROSMAH VYING THE WANITA HEAD POSITION IN UMNO?